At Northern Rehab Physical Therapy Specialists, we offer a wide range of services to restore your freedom to move, which include physical therapy, massage therapy and group exercise programs. Manual therapy is a specialty area of physical therapy that all of the physical therapists at Northern Rehab have had extensive training in. Manual therapy includes hands-on techniques designed to reduce pain and enhance healing and mobility of soft tissues for the purpose of restoring function and freedom to move. These techniques may include joint mobilization, manipulation, or soft tissue mobilization/ massage. The physical therapist uses skilled passive movements of the joints and related soft tissues with varying degrees of force and velocity to optimize therapeutic effects. Manual therapy has been found to be extremely effective at treating painful joint and muscle conditions of the spine and extremities especially when it is combined with specific therapeutic exercises provided by a skilled physical therapist. Aquatic Physical Therapy is an individual, one-on-one therapy program. Using the resistance of water, aquatic physical therapy offers a comfortable unweighted environment to achieve full function regardless of the injury. Aquatic Physical Therapy uses the reduction of gravity in the warm water. Strengthening exercises that will increase joint range of motion and muscle strength, promote healing, and improve balance will be taught. Aquatic Physical Therapy is held at the Kishwaukee Family YMCA in Sycamore. Steps inside the pool allow for easy entry and exit. A lift chair is also available. Swimming is not required to participate in aquatic physical therapy. Tuesdays/Thursdays 12:00 – 1:30pm. Other times are available by appointment. Please call our DeKalb Lincoln Highway clinic at 815.756.2369 for additional information. Pediatric Physical Therapy aims to improve mobility and strength to help children participate in everyday activities. Our Physical Therapist, Janet Sarver, will work with children and their families to meet goals such as improving the child’s physical independence, confidence and participation to ease daily challenges. The physical therapists at Northern Rehab have specialty training in the use of manual therapy and specific therapeutic exercise programs that have been shown to be most effective at treating spinal disorders while minimizing the need for procedures like surgery, injections, and drugs. Your examination and treatment focuses on regaining mobility, decreasing pain, and returning to work and play. Approximately 80% of American workers will suffer from back or neck pain during their lifetime. Physical therapy is an excellent alternative and effective treatment for many of these conditions. The physical therapists at Northern Rehab treat many spinal conditions such as sciatica, sacroiliac disorders, disc hernations, spinal stenosis, whiplash, post-surgical conditions, neck pain, back pain, headaches, thoracic outlet syndrome, sprains/strains, and degenerative disorders. As one of the few facilities in the area that treat Temporomandibular Joint Dysfunction (TMJ), Northern Rehab’s TMJ program offers evaluation and treatment designed for individuals with a history of headache, neck, jaw and facial pain. From the results of a thorough examination during your initial visit, the therapist will educate you on your condition and provide a postural exercise program. Subsequent therapy sessions will focus on your postural awareness and re-establishing proper muscular control of your neck and jaw. In addition, the therapist may also utilize physical agents of heat, cold, ultrasound or electrical stimulation to decrease pain and muscle spasm. Massage and mobilization techniques will be utilized as necessary to restore natural range of motion of the neck and temporomandibular joint. With physical therapy treatments you will experience normal mobility and function of the TMJ and neck. Your therapist will also instruct you on independent postural awareness, self-treatment, and exercise techniques that will help you control TMJ symptoms in the future. Physical therapy addresses dizziness by assessing balance, teaching adaptive strategies, and strengthening postural stability. Dizziness is the most common cause of the fear of falling. There are many perceptions of dizziness such as unsteadiness, an off-kilter feeling, spinning, lightheadedness, and blurred vision with movement. Common causes of dizziness may also accompany neck pain, blood pressure changes, inner ear disorders, brain damage, tumors, or strokes. If you feel your dizziness is affecting your daily activities and have a fear of falling, you should seek a physical therapist to directly treat vestibular disorders, orthostatic hypotension, cervicogenic dizziness, and central nervous system dizziness. We offer a variety of conditioning and rehabilitation services to meet the needs of athletes of all ages and intensity levels. From the school and club athletes to the weekend warrior, we design a functional sport specific training regimen that challenges and meets the growing demands placed on kids and adults who compete. In the event an athlete suffers an injury or is recovering from surgery, Northern Rehab’s goal is to return the athlete to sports quickly and safely. We use a combination of gentle hands-on treatment, therapeutic exercise, and performance enhancement drills to improve strength and skill. Your exercise program will work on sport specific exercises to help train your whole body for competition and injury prevention. A concussion is a mild form of traumatic brain injury (TBI) caused by sudden or violent movement such as whiplash or a blow, jolt, or jarring to the head or neck. The most common causes of concussions are sports injuries, car, work and playground accidents, and falls. Physical therapists can evaluate and treat many concussion problems to help alleviate symptoms and restore health and the ability to return to regular activities. The Immediate Post-Concussion Assessment and Cognitive Test (ImPACT) is the most widely used computerized neurocognitive test for concussions. This test is completed to establish a baseline score of brain function for students at many local high schools including DeKalb, Sycamore and Genoa. The ImPACT test is also used post-injury to assist in assessment and diagnosis of concussion, to help establish an effective treatment plan, to measure progress following treatments, and to assure the athlete is ready to return to sport. A Northern Rehab therapist will record and analyze the athlete’s walking / running gait, swinging, throwing or lifting form, with recommendations on ideal motion correction and exercises to enhance performance. Specific exercises will be suggested based on videotaped findings. At Northern Rehab, kinesiotape may be used as an adjunct to your physical therapy treatment. Kinesiotape is a treatment used by physical therapists to help decrease pain and swelling, improve the quality and quantity of range of motion to the area being addressed, and improve muscle recruitment with active motion. The special elastic qualities of kinesiotape applied over the skin assist and give support to the muscles and prevent over-contraction of the muscles. The kinesiotaping method has been around for over 30 years, but has been popularized by use with professional and Olympic athletes. Your specially trained physical therapist at Northern Rehab will determine if kinesiotape is appropriate for treating your injured area. Northern Rehab conditions and improves an athlete’s performance in their sport or activity. Strength, flexibility, balance and power are evaluated by one of our trained physical therapists. We then design a functional exercise program for your team, including strength and cardiovascular training, stretching, and other performance enhancement techniques. Proper warm-up and injury prevention exercises will be reviewed and provided for your use. Athletes achieve their personal best with an individualized Northern Rehab training program and hands-on instruction. At Northern Rehab, we recognize the need to limit expenses and to be as proactive as possible in decreasing Workman’s Compensation claims. Through our Industrial Rehabilitation services, we will work with you to determine the best, most cost effective way to help you reduce your company’s claims. We offer a wide range of customized preventative and rehabilitation programs designed to meet your specific needs. Work Site Analysis – Task demands and work station set-ups are analyzed, often resulting in more productive techniques, improving employee and work environments. A review of medical management policies can result in cost effective recommendations. Employee Education – Group training is provided for your managers and labor force, both production workers and office staff. Pre-employment/Post-hire Testing – Is a new worker physically able to do the job? Northern Rehab will help you define the parameters and perform tests to objectively answer the questions. On-Site Clinics – Regular monthly visits provide the insight to analyze aches and pains early on, and to offer work environment suggestions. Clinical Physical Therapy – After injury or illness, a worker has impaired functional abilities due to weakness, pain or limited motion. With physical therapy, restrictions are decreased or eliminated so the worker may safely and quickly return to work. Work Conditioning – Injured employees that have been off work for extended periods often benefit from a program emphasizing work simulation along with physical reconditioning. Work Hardening – This highly structured, goal oriented, individualized treatment program includes a psychosocial screening to identify the client’s behavioral needs. Functional Capacity Evaluation – An evaluation of an injured worker provides information on the individual’s work capabilities and limitations. The client’s level of participation, work behaviors, cooperation, and effort are also assessed as part of the FCE. When you have been injured at work, it shouldn’t be a guessing game as to whether or not you are ready to make a full return to work without specific restrictions. When a professional athlete is injured, a team of physicians, therapists and trainers will put the athlete through a series of tests in order to determine if they are truly ready to return to practice and competition. You deserve the same type of attention if you are someone who has been injured on the job. Part of this process may include a Functional Capacity Evaluation (FCE). An FCE is an intensive (usually one or two days) evaluation that focuses on major physical tolerance abilities related to musculoskeletal strength, endurance, speed, and flexibility. FCE is an invaluable tool that may help answer questions regarding a client’s ability to return to work in a specific job or appropriate next step options for rehabilitation. FCEs are also valuable for addressing general work ability beyond a specific job. Northern Rehab Physical Therapy Specialists is an independent, privately owned Physical Therapy practice. We are committed to performing fair, objective, and concise evaluations that are free of bias. Functional Capacity Evaluations are held at our DeKalb Lincoln Highway and Sandwich clinics. Rob Larkins, Northern Rehab’s FCE specialist in our DeKalb Lincoln Highway clinic. Andrea Carter, Northern Rehab’s FCE specialist in our Sandwich clinic. A concussion is a mild form of traumatic brain injury (TBI) caused by sudden or violent movement such as whiplash or a blow, jolt, or jarring to the head or neck. The most common causes of concussions are sports injuries, car, work and playground accidents, and falls. Concussion symptoms may include balance and stability problems, mood changes, headaches, sensitivity to light and noise, sleep difficulties, difficulty focusing and reading, neck problems, and memory deficits. 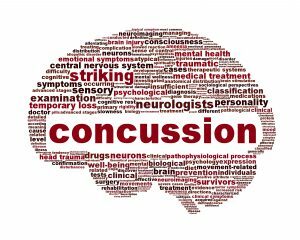 Why see a physical therapist for concussion treatment? Your physical therapists will evaluate your concussion symptoms and associated physical impairments to develop a treatment plan to help alleviate symptoms and restore health and the ability to return to regular activities. Treatment for concussion consists of hands-on treatments that address each specific impairments and graded exposure to stimuli such as body and eye movements and specific exercises in a controlled environment. What is the ImPACT test and how does it work? The Immediate Post-Concussion Assessment and Cognitive Test (ImPACT) is the most widely used computerized neurocognitive test for concussions. This test is completed to establish a baseline score of brain function for students at many local high schools including DeKalb, Sycamore and Genoa. The ImPACT test is also used post-injury to assist in assessment and diagnosis of concussion, to help us establish an effective treatment plan, to measure progress following treatments, and to assure the athlete is ready to full return to sport. Physical Therapist, Kristin Christian, is a Certified ImPACT Trained Physical Therapist. She is also an ImPACT Passport Trained provider. These healthcare providers are trained to utilize the Passport system. By using a patient’s Passport ID, she can immediately access the test data and symptom records of any Passport holder, no matter where the testing was administered, and is available to provide treatment as needed. Kristin Christian, Northern Rehab’s Certified ImPACT Trained Physical Therapist and ImPACT Passport Trained provider. Physical therapy was exactly what I needed to overcome my TMJ/neck/shoulder issues. I highly recommend Ken for his expertise and manipulation skills (he has a gifted touch). The front desk is very nice and fun, too! Overall, Northern Rehab is AWESOME! I’ll be back in the future should I need to. Michelle H.